There are plenty of pet cameras on the market that can offer animal owners priceless peace of mind. To help you find the perfect cam to keep an eye on your pet, we’ve researched dozens of pet cameras and chosen eight that offer distinct advantages over their competitors. You take great pains to secure your home and loved ones — but what about the furry or feathered members of your family? Have you ever wanted to check in on the well-being of sick or elderly pets, help calm an anxious pet, and find out if your pet is misbehaving? Fortunately, you can. There are plenty of pet cameras on the market that can offer animal owners priceless peace of mind. Crowdfunded on Indiegogo, the Petzi Treat Cam is a Wi-Fi connected pet camera and remote treat dispenser. Petzi doesn’t just let you see your pet — it lets you chat with them or give them a snack, too. Through the Petzi app — available for Apple® and Android devices — you can also snap a picture of your pet enjoying their snack and share it with friends and family through the Petzi Social Network. Petzi sells treats to put in the dispensary, but the launcher will work with nearly any dry pet treat that is smaller than 1 inch. 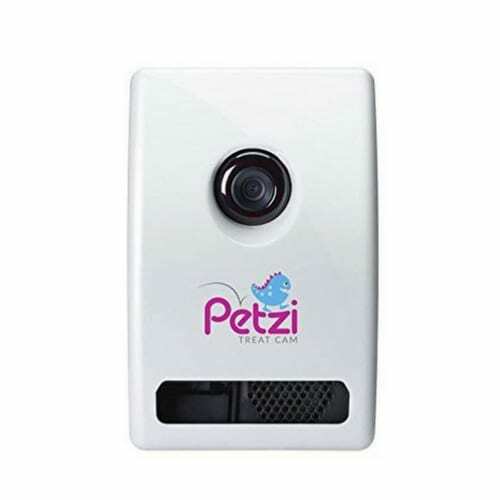 Petzi Treat Cam also features voice communication, a wide-angle camera with night vision, and up to 720p video. It comes with multiple mounting options that allow you to place it on the floor or secure it to a wall. Petzi’s smartly designed treat launcher makes it a stand-out among pet cameras. The cam’s audio only works one way, so pet owners won’t be able to hear any noises their furry friends are making. The Pawbo Pet Camera offers an attractive minimalist design, an easy setup process, and an impressive number of features. The device boasts a 110-degree ultra wide camera lens, 720p HD video recording and photography, and a revolving treat tray. But that’s not all — Pawbo also features a laser dot chase game with manual and automatic modes. Whether you’re summoning your pets with a customizable built-in ringtone, rewarding them with a treat, talking to them through the microphone, or giving them some exercise using the laser, Pawbo provides a variety of different ways to interact with your pet. 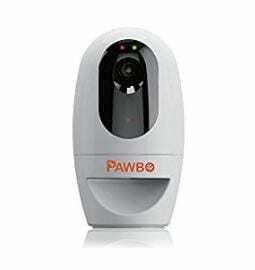 Pawbo is one of the most versatile pet cams out there. Pawbo doesn’t have night vision capabilities, so cat owners may have difficulty keeping an eye on their pet’s nighttime activities. Similar to other pet cams, PetChatz HD offers live video steaming and person-to-pet communication. However, it also boasts a few unique features we haven’t found in any other product. 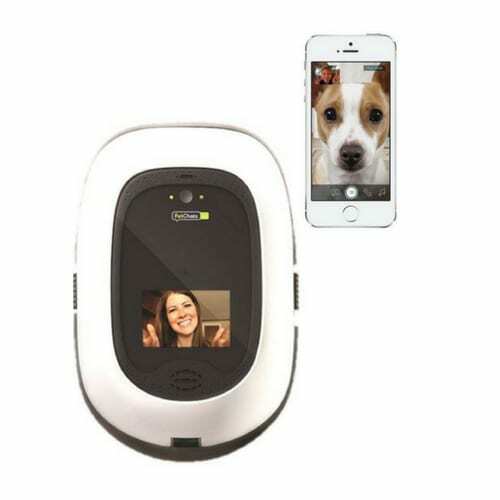 Most notably, pet parents will love the two-way video calling and soothing scent dispensing capabilities. Additional features of this pet camera include sound and motion detection. You can also purchase the optional PawCall button, which lets your pet call you. Place the PawCall button on the floor or wall near your system, schedule call times in your PetChatz web app, and a light on the PawCall button lets your pet know you’re available for a chat. Your pet can then press the button to initiate a two-way call. We haven’t found any other pet cam that offers an option like PawCall. The retail price of the PetChatz HD and the PawCall button is a bit higher than others on this list, which may make the device unaffordable to some pet owners. 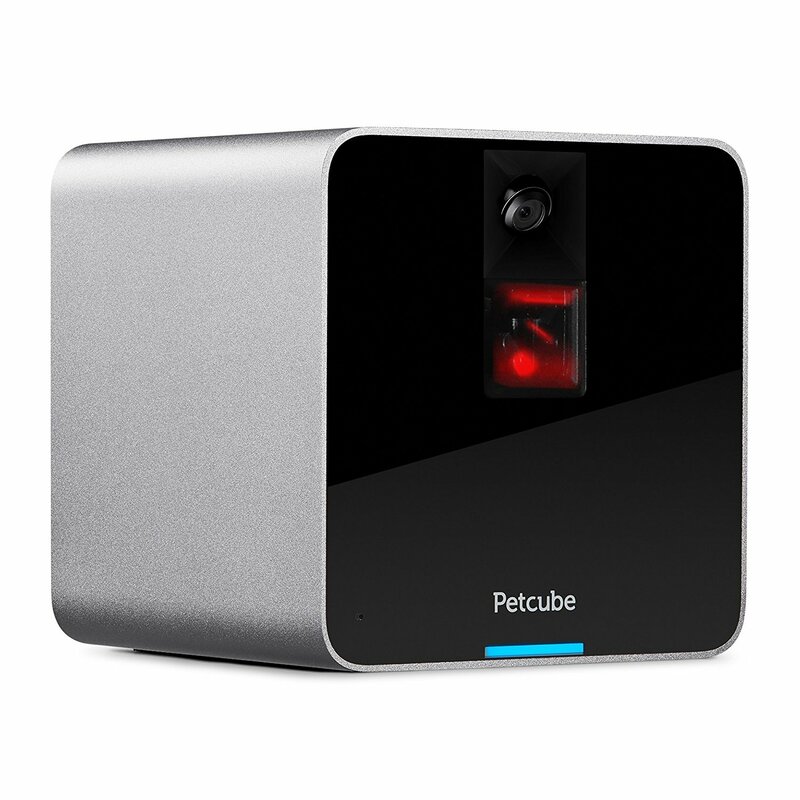 The Petcube Interactive Wi-Fi Pet Camera is an attractive, moderately priced pet cam. 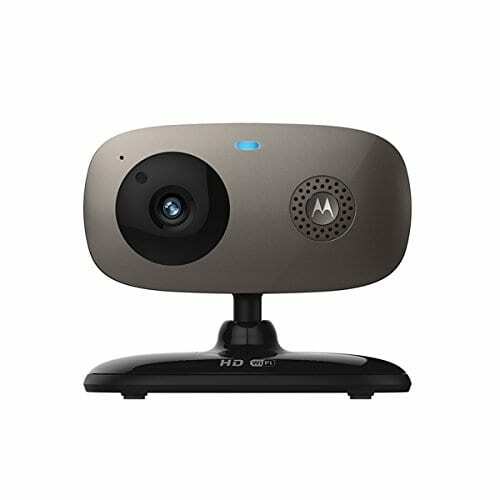 It offers a 138-degree wide-angle HD video camera with recording capabilities, two-way audio, and motion- and sound-detection capabilities. It does not dispense treats, but it does come with a built-in laser pointer toy that can be controlled via the Petcube app. To play with your pet, simply drag your finger across your smartphone screen and watch them chase the laser. Through the Petcube app — available for iOS, Android, and even the Apple Watch — users can also share clips of their pet or grant friends and family access to the Petcube camera stream. Petcube connections are protected with 128-bit encryption and a number of other security protocols. Petcube is sturdy, sleek, and compact, helping it blend seamlessly with existing décor. Without a treat dispenser, this cam may have a hard time holding an easily distracted pet’s attention. The Motorola Scout66 is one of the few pet cameras that also monitors your pet’s environment. The app interface displays clear updates on room temperature, so you can easily make sure that your pet is cozy and comfortable. And with an optional Cloud Video Recording service from Hubble, users can easily and securely record and store videos of their furry friends. Scout66 also has infrared night vision technology, and it’s expandable — you can connect up to four cameras to one device without a Hubble subscription. Priced at less than $100, this cam is one of the most affordable on the list. The environment temperature monitoring feature makes this a really stand-out cam. Users who want to make use of more advanced features will have to subscribe to a Hubble Connected plan. 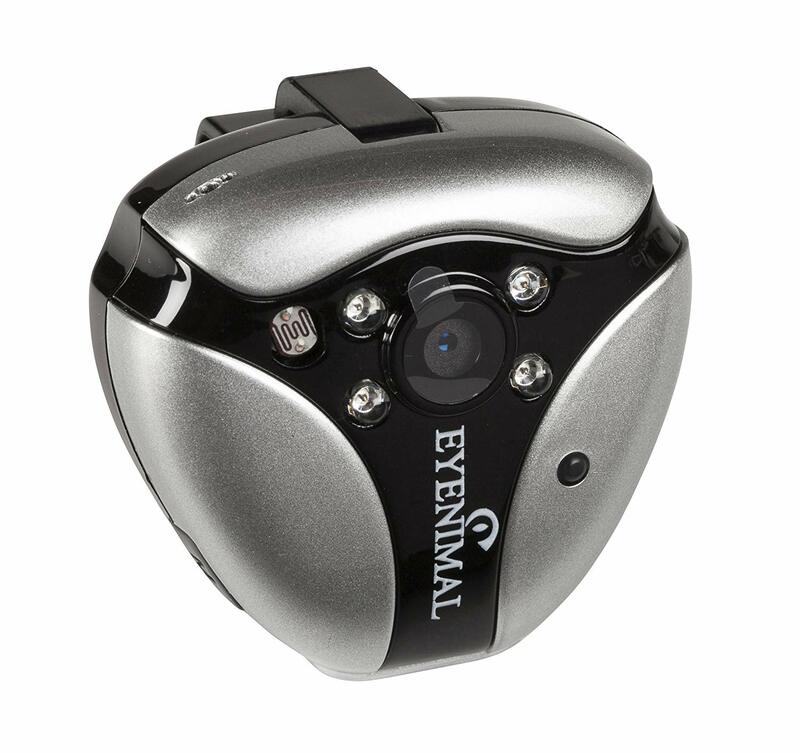 The Eyenimal Cat Videocam is a remarkably lightweight camera designed specifically for cats and other small animals. It attaches to your pet’s collar, which gives you the ability to see life from their perspective and find out what they’re up to when they’re out of sight. Eyenimal Cat Videocam records video and audio, has a 4GB built-in memory, and has night vision capabilities up to 6.5 feet. The camera is housed in a water-resistant casing to help protect it in damp or rainy conditions, and it comes with a rechargeable battery and a one-year warranty. You can set Eyenimal Cat Videocam to motion detection mode, which only records video when your pet moves to conserve device storage space. Even at full charge, the video cam’s battery only lasts up to two and a half hours. Additionally, the camera doesn’t yet support live streaming, which means you won’t be able to view real-time happenings with the cam. Pair the GoPro Fetch Harness with your favorite GoPro camera and capture the world from your dog’s point of view. The harness features two mounting options: on your dog’s chest — to record eating, digging, and other front-paw action — or back. The GoPro Fetch Harness is made of washable, water-friendly material, and it’s fully adjustable to fit dogs weighing anywhere from 15 to 120 pounds. Additionally, because the cam travels with your pup, you won’t have to worry about buying multiple models to place around your home. If you want to use your GoPro Fetch setup to watch what your pet is doing live, you’re in luck. Periscope recently updated their app to be compatible with select GoPro cameras, so you may be able to broadcast a live stream straight from the harnessed cam. 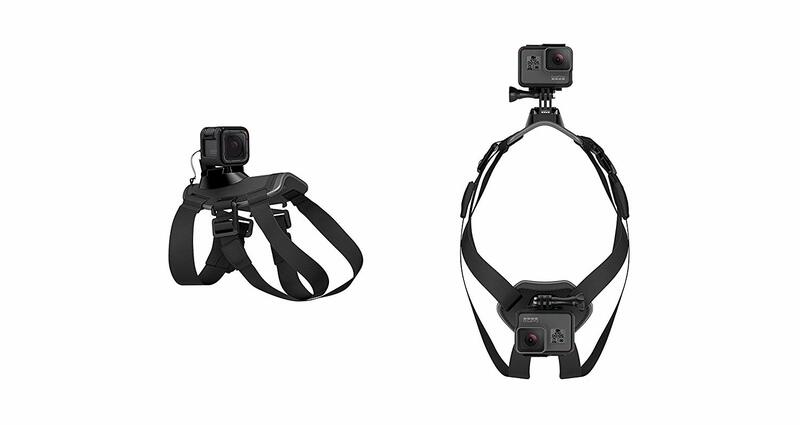 The GoPro Fetch Harness is compatible with all GoPro cameras and comes with a camera tether to further secure your GoPro. The harness, while adjustable, likely won’t work well for cats or small dogs. Periscope streaming capabilities are also limited to the Hero4 GoPro camera, which can be costly. If you’re looking for an affordable, high-quality pet cam, the Arlo Smart Home Security Camera could be it. The Arlo camera is 100% wire-free and delivers HD clarity — even in the dark. It’s also weatherproof, so it can monitor your pet’s outdoor activity. With the free Arlo app, you can customize activity alerts and watch live streamed or recorded videos of your pet from your computer, tablet, or smartphone. Arlo functions as a home security camera, giving it uses beyond pet monitoring. Plus, it’s one of the only cams on this list that’s durable enough to handle outdoor monitoring. It lacks some of the pet-specific interactivity that other cameras on our list offer. Just like a monitored home security system helps safeguard your family and property, a pet cam helps you create a safer environment for your pet. 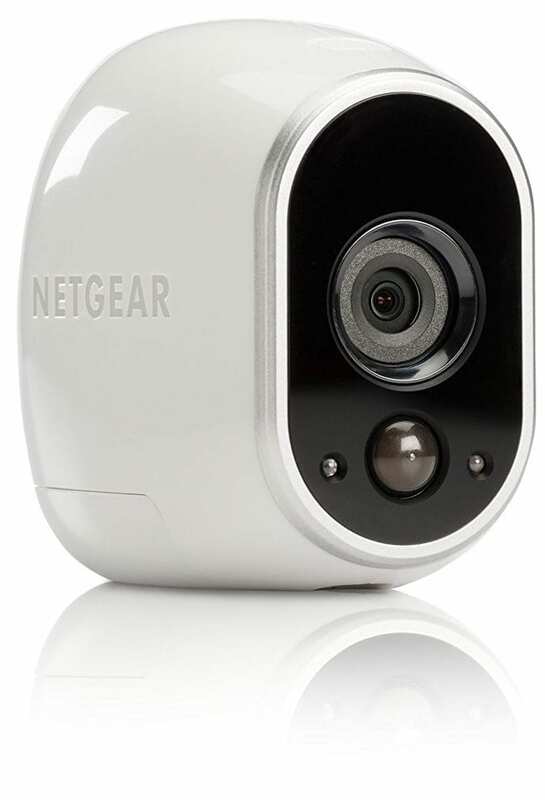 Have you used one of these pet cams in your home? Or did we miss your favorite cam? Let us know in the comments.